I don't have a problem with flushed skin. That is, after all, the purpose of blush. A little pink or red on the apples of the cheeks, even on the tip of the nose or the temples (as is common practice when you're using the draping technique) makes the skin look lively, healthy, and youthful. What I do I have a problem with is when that flushed skin is intense, chronic, and widespread. That's called rosacea, and boy, do I have a problem with it. It's something I've struggled with since high school and have since been trying to alleviate. I drink water, avoid harsh skincare ingredients, and steer clear of certain flare-up-causing foods, but it's still always there, simmering under the surface, biding its time and waiting for an opportunity to strike. Which it often does, especially after I've spent time in the sun. "People with rosacea are highly susceptible to UV radiation," according to dermatologist Lily Talakoub of McLean Dermatology and Skincare Center. "The vessels in the skin are very fragile in someone who has rosacea. The UV light breaks down collagen and elastin, which are the proteins that are the support structures for the vessels. When the collagen elastin breaks down, the vessels break and are visible under the skin, making the skin look more red and flushed." Red and flushed is exactly the look I'm trying to avoid, which is why sunscreen is a must. But, as we know, all sunscreens are not created equal, and that's certainly true when it comes to rosacea. While experts are still unsure as to what causes rosacea, they do know that sun exposure is a factor. Sunscreen should be worn every day no matter your skin type, but as Talakoub mentioned before, it's even more important for people with rosacea. Take it from Heather Wilson, brand development director and lead esthetician at InstaNatural. "Various environmental factors, including excess sun exposure, can trigger a redness response in the skin, which is common for rosacea patients," she says. "Since the exact cause of rosacea is still unknown, it is difficult to isolate exactly why this is. However, the body's natural response to excess sun exposure can cause an increase in blood flow, skin irritation, and inflammation—all of which can trigger rosacea conditions." That's why she recommends using an effective mineral sunscreen (otherwise known as a physical sunscreen). Why mineral and not chemical, you ask? "Since rosacea patients tend to have more sensitive or reactive skin, it is ideal to look for sunscreens that are mineral-based as they tend to cause less irritation in the skin," Wilson explains. And Talakoub agrees. "Physical sunscreens are better than any chemical sunscreen because physical sunscreens protect against all UVB and UVA rays," she says. "Chemical sunscreens only protect against UVB and some of the UVA rays." This is disconcerting, considering that Talakoub calls UVA rays more harmful and damaging than UVB. "UVA rays can penetrate through window glass and cause DNA damage and skin cancer and break down the collagen and elastin in the skin," she explains. Talakoub sings the praises of this Giorgio Armani pick. 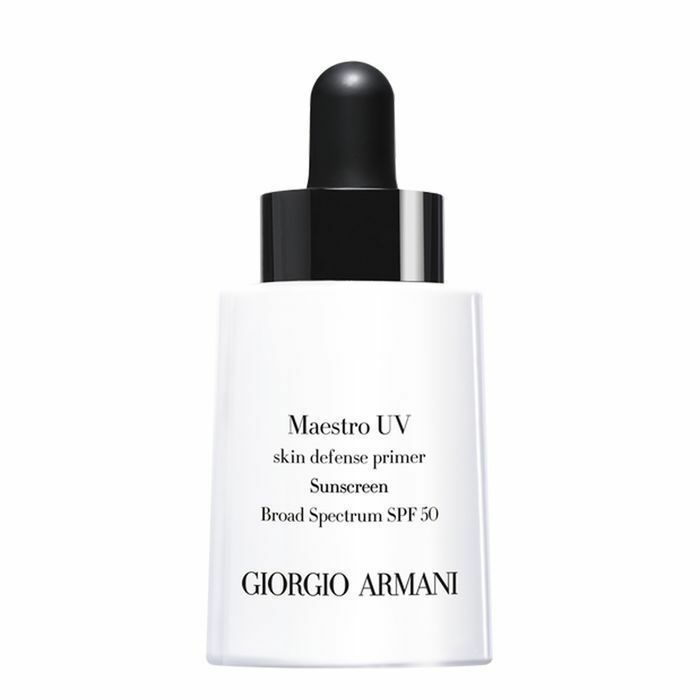 "I love the Armani Maestro UV because it is a sunscreen with SPF 50 as well as a makeup primer," she says. "Patients with rosacea often have to wear makeup to cover the redness on their skin, and makeup usually cannot hide the red or any rosacea-related bumps easily. The primer does both. It's a sunscreen and sets the makeup perfectly. I wear this product every day under my makeup. I swear by it." 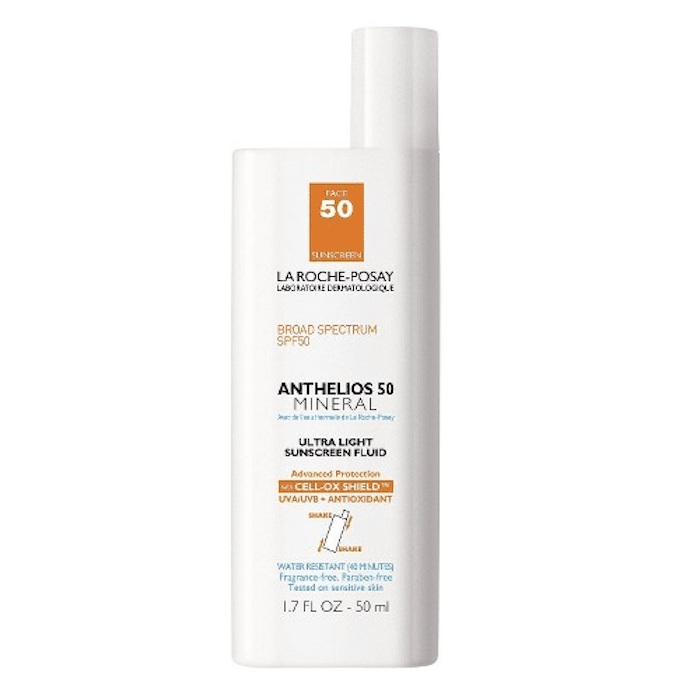 Talakoub also suggests trying this SPF 30 formula from Byrdie-favorite brand iS Clinical. 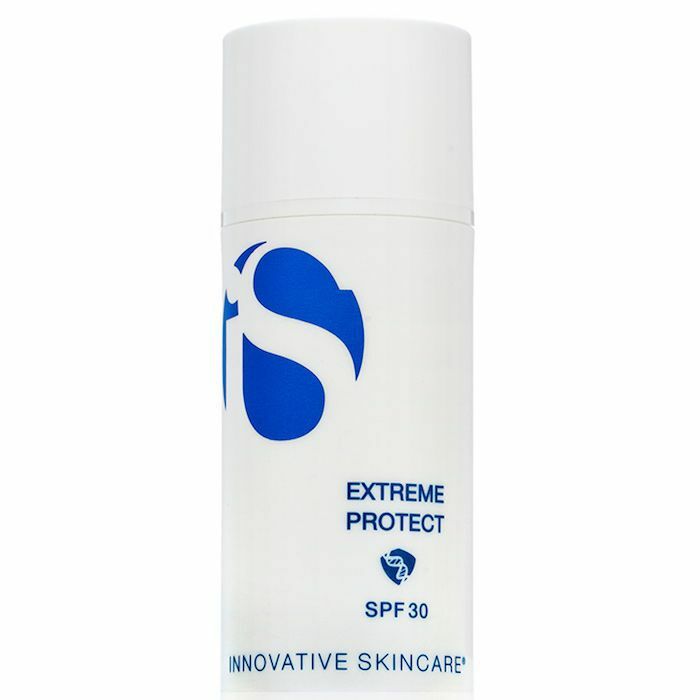 "Extreme Protect contains extremozymes, which help protect and repair fragile proteins and DNA components, and micronized zinc oxide and micro-encapsulated organic active sunscreens," she explains. "It also helps reduce inflammation." Anyone with rosacea knows the sensitivity and irritation that go along with it. So, I consider a sunscreen that also reduces inflammation to be as good as gold. Another iS Clinical sunscreen, this one, Talakoub says, also does double duty. 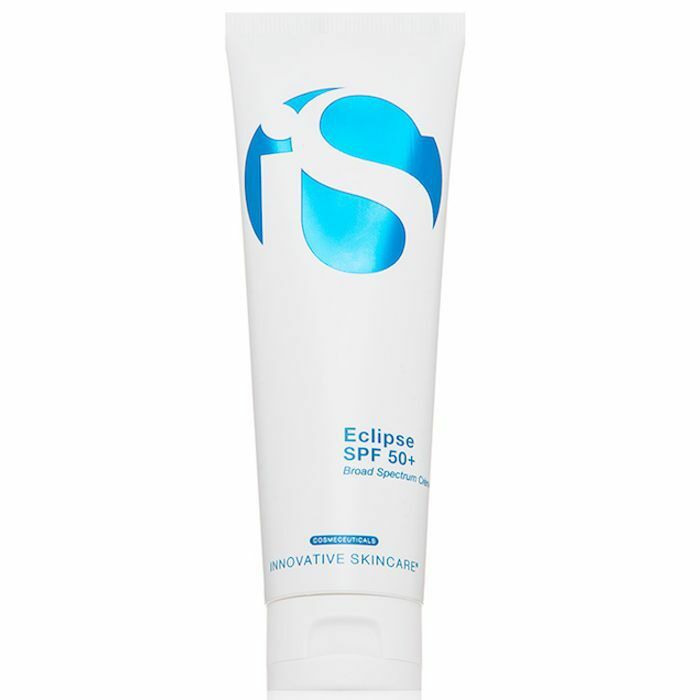 "The Eclipse SPF 50 contains titanium dioxide, micronized zinc oxide, and vitamin E to protect and hydrate skin." You can choose the tinted or non-tined formula, depending on your preference, although Talakoub is quick to point out that "the tinted version is great to help cover up redness from rosacea." Talakoub even has a suggestion for all of us beach-goers. "I also love the Avène SPF 50 Compact," she says. "It has 17% titanium dioxide and provides a foundation-like coverage as well as being water resistant. This is the one I wear to the beach all summer." Oh, how we love when makeup and skincare intersect. As for Wilson, she recommends using this product from InstaNatural. It doesn't just offer SPF 30 UV protection, but it has a whole host of potent botanical extracts that treat and hydrate the skin. 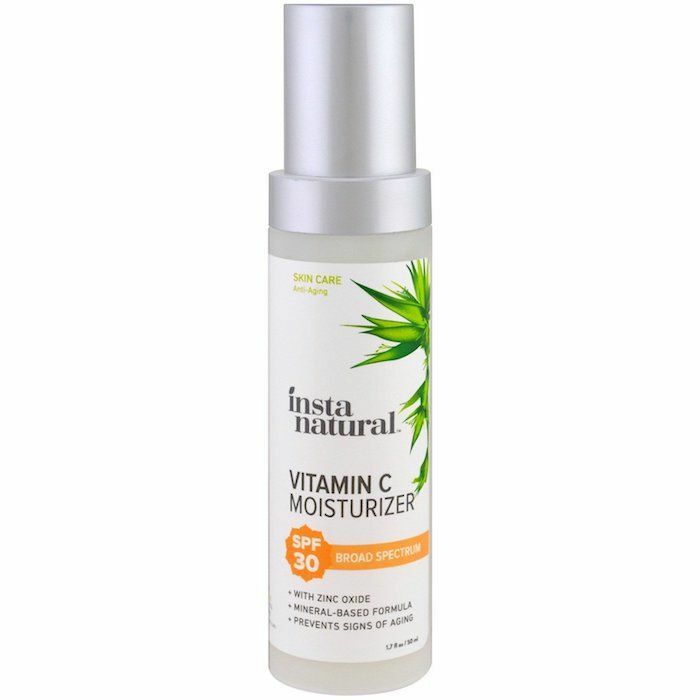 "My personal favorite sunscreen InstaNatural's Vitamin C Moisturizer because it offers complete protection from the sun and is full of anti-aging ingredients, plant extracts, and nourishing oils for a moisturizer that does so much more than just moisturize." 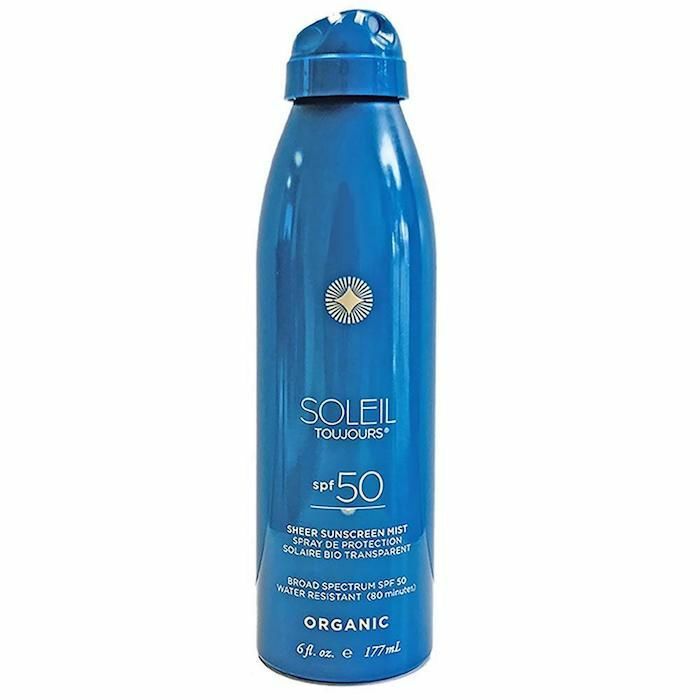 "For my body, I love the Soleil Toujours SPF 50 spray," Talakoub tells me. "It's a chemical sunscreen, but it is a spray that goes on like a cream and blends well into the skin without looking pasty white. Most aerosol sprays are not effective, because half of the product aerosolizes into the air. This one does not and has a wonderful texture to it. I use it to spray my ears, behind my neck (areas often missed), and my body." This French pharmacy pick (which is widely available at drugstores like Target) is a Byrdie team favorite. It's a 100% mineral sunscreen that's fragrance- and paraben-free. 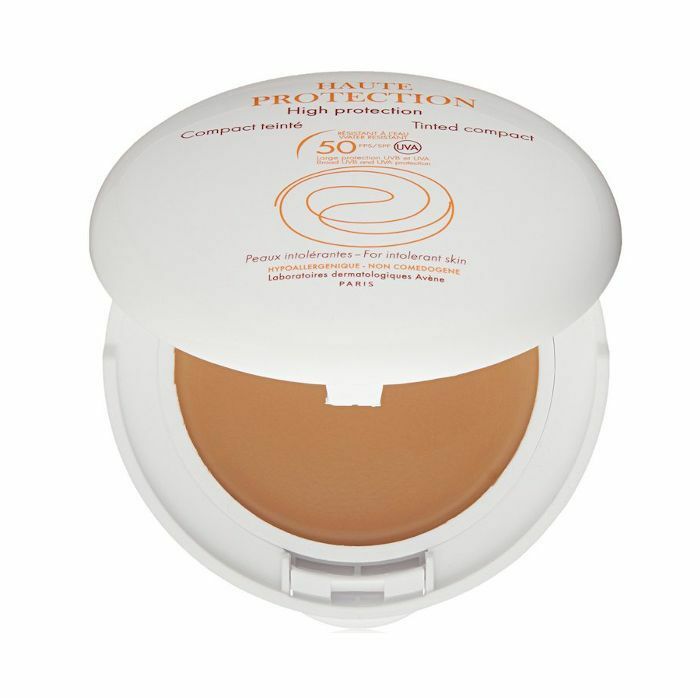 We love its lightweight texture, non-whitening formula, and effective UV protection. Seriously, this one's been a mainstay in our beach bags for years. Now that you know the best sunscreens for rosacea, be sure you're wearing them all summer long to prevent extra redness from cropping up on your complexion. Also be sure to read about the "melt-in" sunscreen that earned a perfect score from consumer reports.